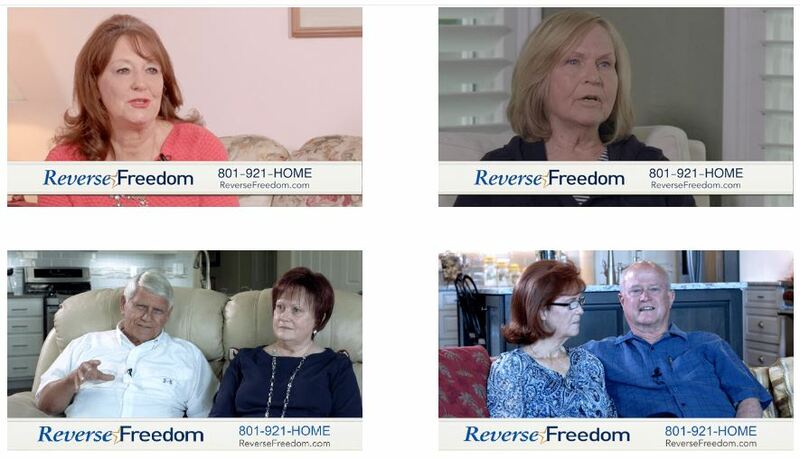 All Reverse Mortgage Lenders Aren’t The Same. The product is the same but there can be important differences. I write this to help you make a good decision when you decide to go the reverse mortgage route as my wife and I just did. Kathleen and I went through an interesting process. First we decided to get serious about an over 55 community in Daybreak. The builder owned their own mortgage company and had incentives to use them. We went through the pre qualification process with their reverse mortgage loan officer. My preferred FHA and conventional lender has a reverse mortgage specialist and we considered them. I was approached by another lender who heard we were in the market and we considered him. Finally we considered Reverse Freedom and Chad Peck. We had been to an informational lunch presentation with Chad and were impressed. If you follow the articles I post here you will likely remember that Kathleen and I owned a large mortgage company in Washington State. With that background I knew the reverse mortgage pluses and potential minuses and wasn’t prone to be turned off by the nay sayers with their “don’t do a reverse mortgage they are bad” comments. (Even from some of our children”). In situations like ours it is a perfect product. The main reasons people choose a reverse mortgage are as follows: 1- To use their equity to create a monthly cash flow to supplement their monthly income. 2- To pay off a small mortgage, again having no monthly payment, thus eliminating the mortgage payment. 3- To purchase without having to pay for the entire purchase, again having no monthly payment. (The older you are the less you put down). Our situation was #3. We didn’t want a monthly payment and we didn’t want to pay cash for the full purchase price. Here is where each lender we spoke with was different. How much we had to put down varied by as much as $40,000 from the least desirable option to the most desirable option, which turned out to be Reverse Freedom and Chad Peck. In wanting to know why the difference I learned that interest rates charged determine the down payment. A reverse mortgage is an FHA guaranteed product. FHA/HUD set the rules as they do not want have to reimburse the lender for a foreclosure. I learned that the higher the interest rate the lender is charging (even though it is deferred indefinitely) the more cash equity you must have. So what created the $40,000 lower down payment for us was because Reverse Freedom was charging us a lower interest rate. Because we selected Reverse Freedom we couldn’t compare the service, follow through, and competency one to another. I will say that I having closed over 5000 loans I am totally aware of what is quality in these areas. Top of the line service, follow through, and competency would be my description.